The Gradebook setup page provides instructors access to set up and make changes to their Moodle course gradebook. Options available in this view include creating and editing grade categories and graded items. 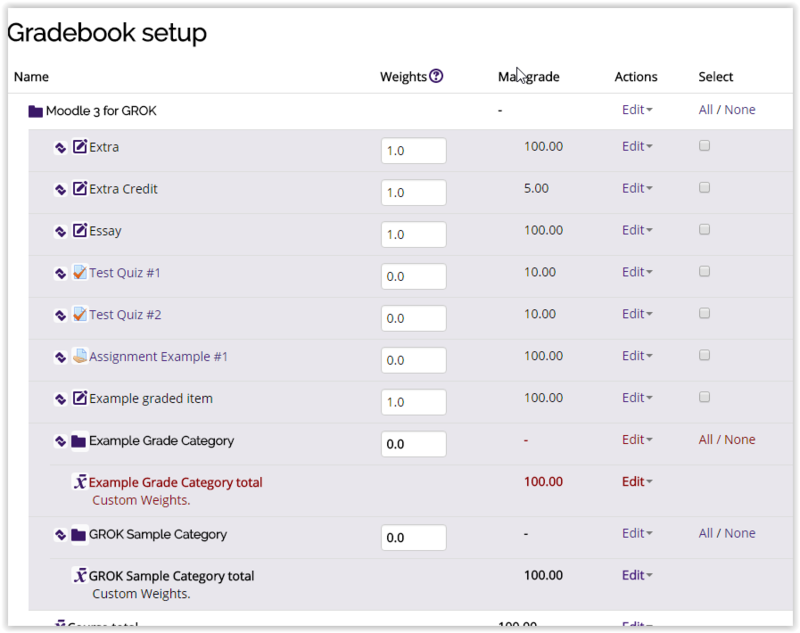 For more information regarding the Moodle gradebook feature, please visit GROK article # 18487 "Moodle 3 Gradebook: LSU Overview". 2. 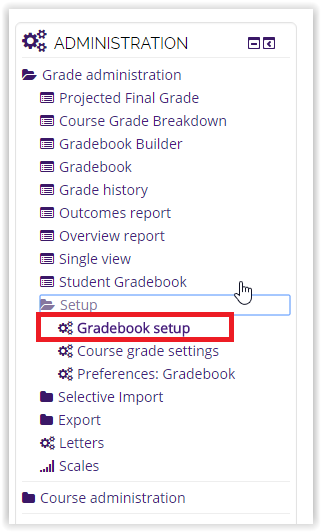 Click on the Setup link in the Administration Block on your course front page and select Gradebook Setup. 3. You can now edit the weight and max grade of categories and graded items. NOTE: The maximum grade for an activity-based graded item must be updated in the activity settings. 4. Hide or Show graded items and categories in the Edit dropdown menu to the right. NOTE: When an item has been hidden, "(hidden)" will display next to it. 5. Delete categories or graded items in the Edit dropdown menu to the right. NOTE: Activity-based graded items must be deleted from the course home page.